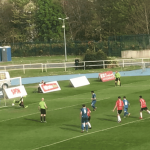 A stunning stoppage-time strike from midfielder Darragh Power secured all three points for Waterford FC’s Under-19s as they got the better of Galway United 2-1 at the RSC on Sunday. Waterford FC U17s continued their unbeaten run this season with a comprehensive 2-0 win away to near neighbours Wexford in Ferrycarrig Park on Saturday afternoon. Two goals from striker David McDaid weren't enough for Waterford FC who fell to a 3-2 defeat against UCD at the UCD Bowl on Friday night. Waterford FC will look to build on last week’s 3-0 win against Cabinteely with a trip to the capital to face third-placed UCD at the UCD Bowl this Friday. 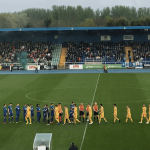 Waterford FC moved five points clear at the top of the SSE Airtricity League First Division after a 3-0 win against Cabinteely at the RSC on Friday evening.